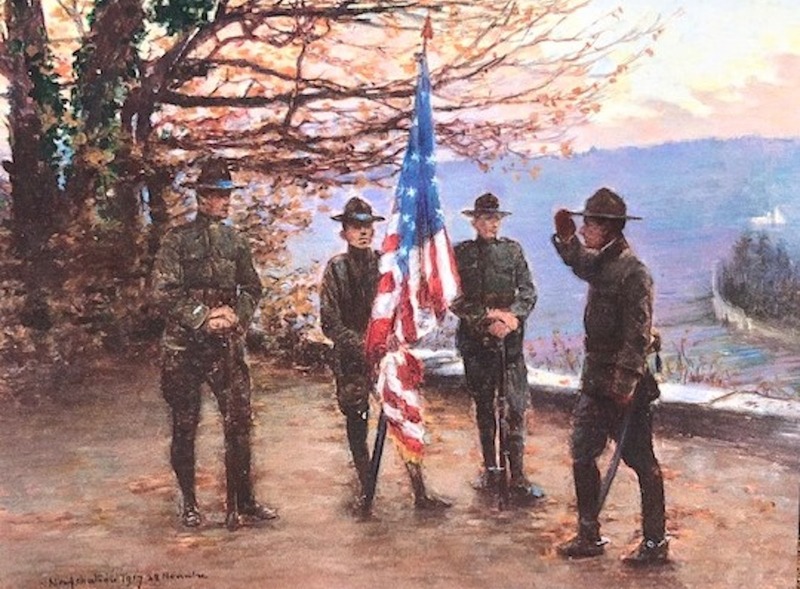 This Veterans’ Day, on November 11 at 11:00 A.M., marks the 100th anniversary of the cessation of hostilities in World War 1, and the Allied forces’ victory over Germany in 1918. GENERAL ORDERS: “ARMISTICE SIGNED EFFECTIVE 11 HOURS 11 NOVEMBER 1918, ALL HOSTILITIES AND ADVANCE MUST CEASE. HOLD AND ACCURATELY REPORT LINE REACHED AT THAT HOUR. NO COMMUNICATION WILL BE HAD WITH THE ENEMY. Thoroughly explain that an armistice is not a peace, and that our status is that of a unit in line of battle in war; all laws and rules of war apply. No change in Brigade orders as to personnel. Improve condition of men and horses; clean equipment. Keep ready and alert.” By command of Brigadier General Rivers. Years later my father returned to active duty; during World War II, he and other surgeons from Boston set up Army hospitals in England to operate on the wounded from battlefields in France.